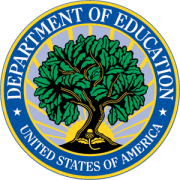 "The White House Initiative on American Indian and Alaska Native Education leads the President’s Executive Order 13592, signed December 2, 2011, Improving American Indian and Alaska Native Educational Opportunities and Strengthening Tribal Colleges and Universities. The Initiative, located within the Department of Education, seeks to support activities that will strengthen the Nation by expanding education opportunities and improving education outcomes for all American Indian and Alaska Native (AI/AN) students. It is committed to furthering tribal self-determination and ensuring AI/AN students, at all levels of education, have an opportunity to learn their Native languages and histories, receive complete and competitive educations, preparing them for college, careers, and productive and satisfying lives."